Playworks' projects often include the potential for additional education and marketing opportunities inspired by project content. 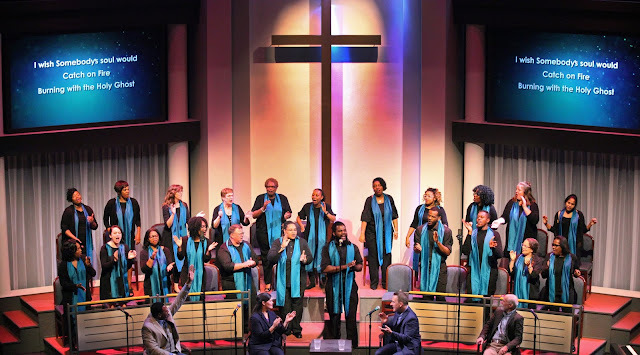 The production of The Christians incorporated outreach with many faiths, and involved a diverse choir representing the broader community. 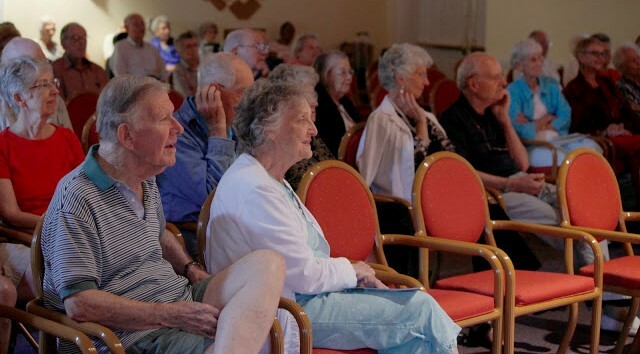 The production of Lunch at the Piccadilly, and its intergenerational programs, encouraged a timely conversation about aging and caregiving. The education aspects of A Midsummer Night's Dream involved thousands of students in a live experience that promoted collaboration and enhanced arts and literature studies. The production of Open Season offered a work/study for theatre majors working with professional artists in all aspects of production. 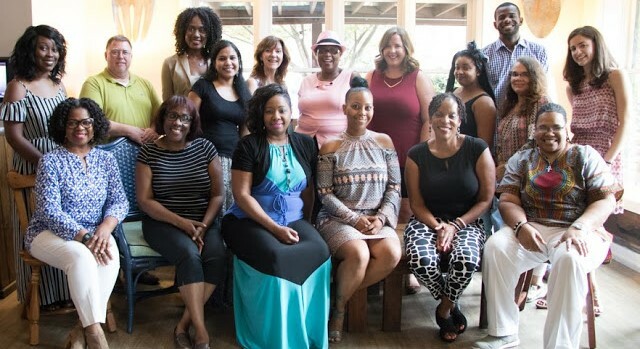 "Being part of a diverse choir that depicts us all makes me proud. Hopefully those who see it will feel the same." Lydia Diaz, choir member, "The Christians"
The choir onstage in "The Christians"
"Being a part of this production encourages us to examine what we believe, and why, on a much deeper level." Large numbers stayed for TalkBacks after most performances of "The Christians"
"I was grateful for this play, and found that I have lived as almost every character." "GREAT play and very thought-provoking...I've seen it twice and every time I come away with something new." "Actors, director, and audience all teach you. My job is to shut up and listen." Playworks sponsored the project's education workshops. "Thank you for providing students with the opportunity of Shakespeare as it was intended - on a stage with live actors." 'Lunch at the Piccadilly' was also a catalyst for intergenerational programs. "The TalkBack provided an amazing bonus. 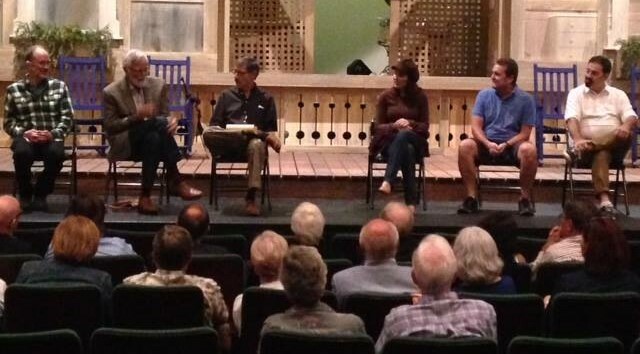 The musical and TalkBack sparked so many valuable conversations." 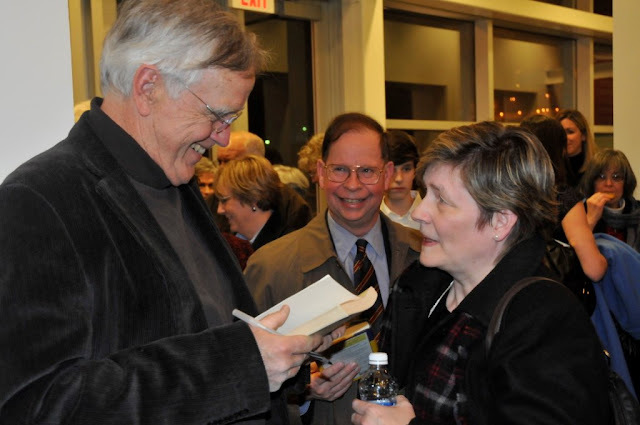 Author Clyde Edgerton signs books for the 'Piccadilly' audience. 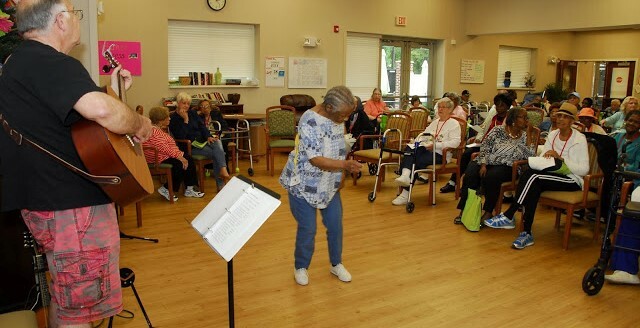 "Never in my wildest dreams did I think I would ever see a musical about assisted living. It's fun and real and sensitively presented. We often forget to look at our older loves ones as the heroes they really are. Well done!" "Aldersgate's sponsorship of Piccadilly transformed our presence in the region. It gave us great market distinction in a city with significant competition. Through our work with Playworks, we elevated our standing as a leading voice for elders." © 2014 Playworks / Website by John Mayes. Awesome Inc. theme. Theme images by Bim. Powered by Blogger.